BRYAN EATON/Staff photo. 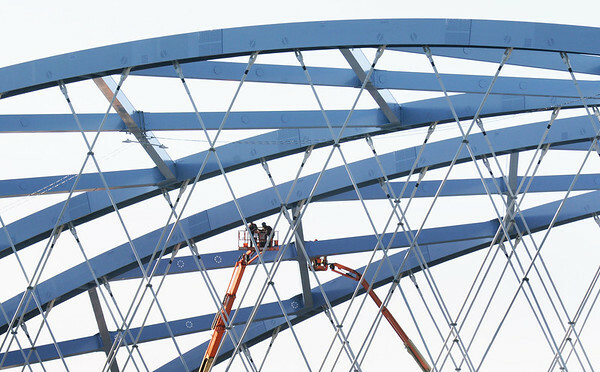 There were worse places to work than amongst the cables high up on the new southbound span of the Whitter Bridge durings Wednesday's nice weather. That bridge is scheduled to open in the spring and the nice weather is to continue into the weekend.